Are you ready? If you can go out for 50 miles by yourself on normal terrain around Spartanburg and average 17 mph you are ready to be in the A/B group trainings on Saturdays. All details of each ride will be posted on the preceding Wednesday on Facebook and Twitter. There may be a B group some weeks, check the Facebook posting for the most up to date training ride information including meeting location.Below is the basic training ride information. 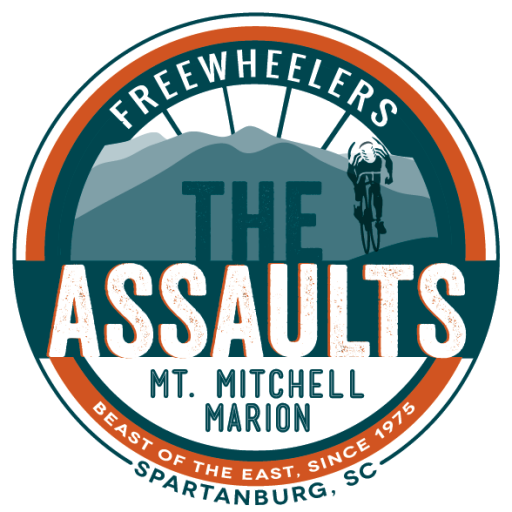 Thank you to our volunteers and Freewheelers of Spartanburg for coordinating these ride, that are open to all! 2) The training rides will start (weather permitting) on Saturday March 4th and continue every Saturday thru May 6th. That allows for 10 possible rides. a) Starting time – usually between 8:30-10 am depending on the weather forecast. b) Start location – most will be in the Landrum / Tryon / Inman / Gowensville area. c) A RidewithGPS route which includes a cue sheet for those who need one. Most rides will be 60-80 miles. Bring que sheet with you if you need one. d) SAG –The Facebook post will say if the ride has a SAG and ask that everyone who rides contribute $2-3 for them. If you know of anyone who would like to SAG for us please message us via Facebook or email director@thassaults.com. SAG’s are not guaranteed for any of the rides so please come prepared to be self-sufficient if necessary. That would include equipment to fix flats, cell phone, etc. 4) Weather – Rides won’t head to the mountains unless the forecast shows temperatures of at least 50 degrees and low rain possibilities in the area we will be riding. Obviously these are judgment calls and will be made and posted the day before or no later than 2 hours prior to the ride start time. In general The Freewheelers try to get the ride in if possible. 6) The Freewheelers hope to do the Table Rock ride as we get closer to The Assaults. This ride can be either 78 miles or 7800′ of climb or 100 miles and 9000′ of climb and great for giving you an idea of your fitness for Mitchell. 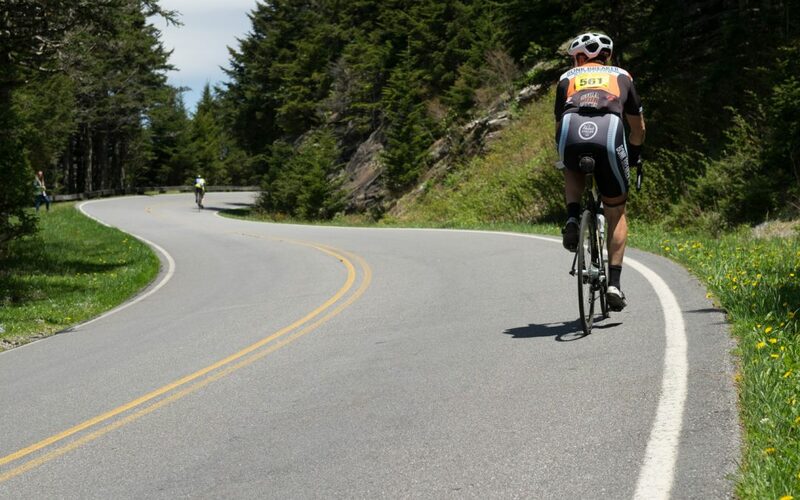 It includes the 7 mile climb on Hwy 215 to the Blue Ridge Parkway (2500′ of vertical climb). 7) The rides will be what we consider A / B level rides. In general we will ride at a steady moderate pace between climbs with the climbs at your own pace. We will regroup at the top of climbs before proceeding. We try to help everyone but if you are obviously having trouble maintaining contact with the group we will recommend you turn back or proceed on your own. There are sometimes sections during a ride where the group tends to string out before regrouping. Please be patient during these sections as we will regroup at the usual spots. If you get behind just stay straight to the regroup point. 8) Try to remember that these are group rides and we often have to adjust to changing circumstances so everything may not happen exactly as planned or as you would like. If you come looking for some training and a fun social atmosphere with friends then you should leave happy and tired at the end of the ride. The biggest improvement we can make over last year’s rides would be working together in the non-climb sections. We had some issues last year with riders pushing the pace at times past what some could sit in on. This generally happens on longer hills. A 15-30 second neutral zone at the top of long hills will often be enough for all to get back in and get back to pace. Otherwise the slower guys have to work longer by themselves to get back to the group and eventually they can’t. It’s a much smoother ride if we all work together. 9) Helmets & ID required. No earbuds allowed. If you are new, please introduce yourself! 10) Rear blinkers recommended – the Freewheelers are recommending rear blinkies for day rides to make us more visible to vehicle drivers. 2018 Training Ride Kick Off!